Long-Term Care | Rehoboth Beach, DE | Wilmington, DE | Williams Insurance Agency, Inc. 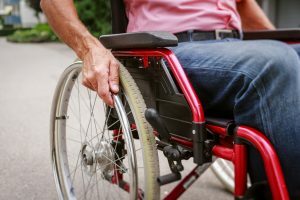 Long-term care insurance helps pay for the coverage of long-term medical and rehabilitation care that is not otherwise covered by traditional medical insurance. The Williams Insurance Agency, Inc. offers a selection of high-quality long-term care products that you can include in your employee benefits package to add an extra sense of security and peace of mind for your employees and their loved ones. A wide range of coverage options and benefit levels are offered at various price points to ensure that your employees have access to critical services that may be necessary to live a minimum standard of life. Care may be provided in-home, in a personal care home, by a community-based organization, or any of the other specialized facilities designed to provide one-on-one assistance where and when required. In addition to standard living assistance, optional additional benefits may be available from some insurance carriers, including the option to extend coverage beyond the standard limit regarding how much or for how long the insurance policy will pay for the long-term care costs of your covered employee and/or family members. Premiums typically vary for these policies and underwriting may be required. However, when purchased as part of your group employee benefits package, you may be able to secure this valuable coverage for your employees without underwriting, and at a price that is extremely competitive versus similar policies purchased on an individual basis. To learn more about the long-term care policies available from our insurance carriers or to schedule a consultation to learn how you can offer exceptional security for your employees at a fair price, contact the Employee Benefits Division at the Williams Insurance Agency, Inc. in Rehoboth Beach, Delaware, at 302-227-2501 or in Wilmington, Delaware, at 302-239-5500.